It took us more than one month to design this Cross-Body Bags from market research, design to launching. We tried our best to make every process perfect. 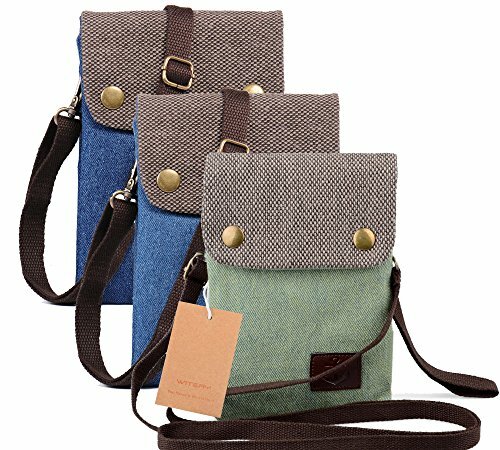 To make this Women’s Cross-Body Bags to be more fashionable, more soft, breathable, durable and shrink resistant, we chose 100% cotton canvas and high quality genuine cow leather matching with high quality hardwares which is sturdy, durable and not getting rusty easily. 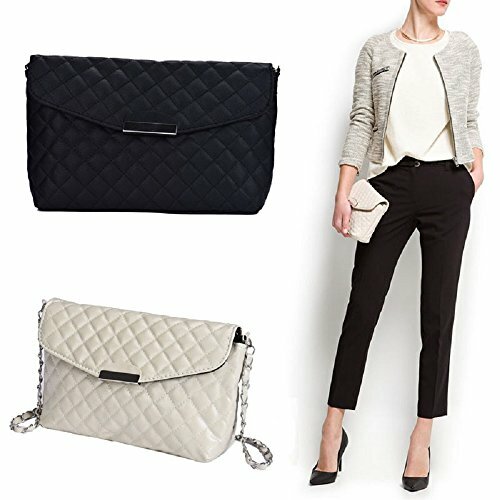 Now we are launching this women bag / Cross-Body Bag and hope you will like it. Thanks! 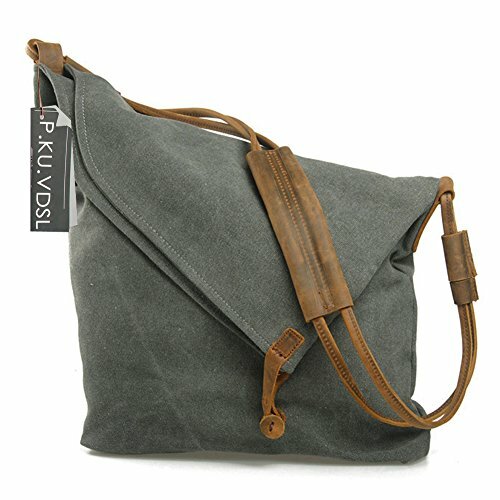 ★ FEATURES – P.KU.VDSL women’s cross-body bags, high density canvas, top layer crazy horse leather. This bag is made of high density canvas, with top layer crazy horse leather shoulder strap, top grade bronze hardware, and high quality denim lining. 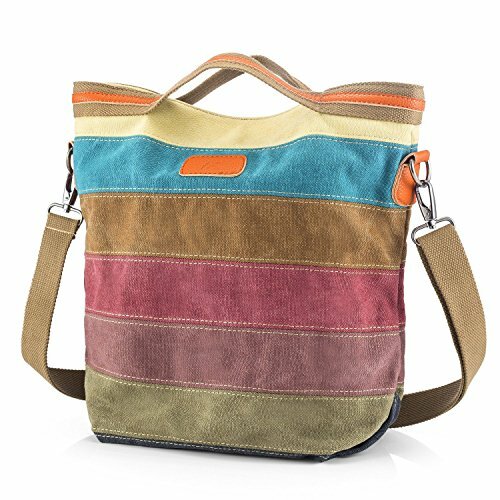 ★ SPECIAL DESIGN – Retro canvas bag crazy horse leather, retro, causal, fashionable. 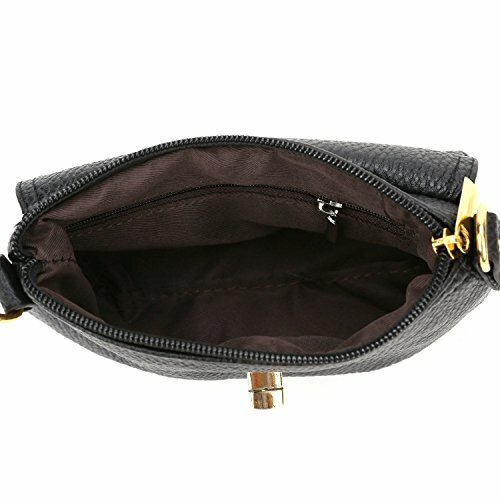 The bag is simple but Specially designed in a irregular rectangle shape. 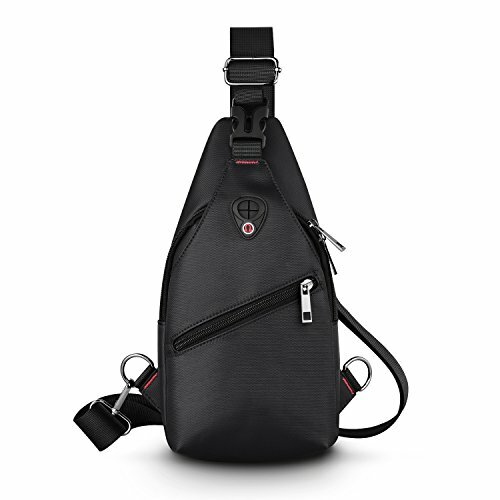 The messenger bag has a zippered main compartment, two interior zippered pocket, two small interior pockets for phone or other small things, one exterior zippered pocket, and one adjustable shoulder strap. There’s enough space to carry A4 magazine, ipad, macbook air, light clothes, school books, and other stuff. ★ LIGHTWEIGHT & DURABLE – Weigh 1.5Pounds (0.68 kg), Size 13.8 x 4.3 x 16.5 x 20.8 Zoll / 35x 11 x 42x 53 CM (L * W * H * H) It’s very light and easy to carry. 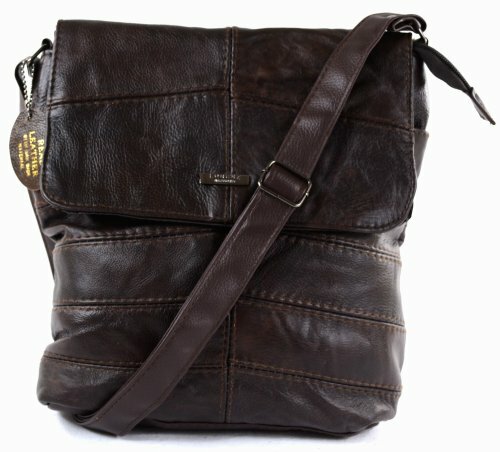 As the hobo bag is made of high quality materials with well sewn craftsmanship, it is not easy to wear out or fray. 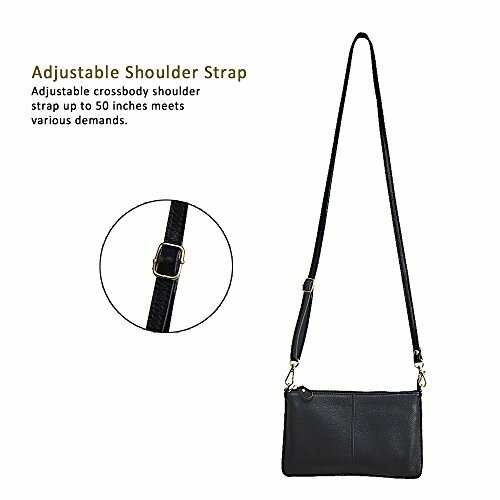 Sling this cross body bag across the body for a cool and comfortable look wherever you go. With cool style and canvas materials; it brings you more casual feel and happy to carry it all the time. 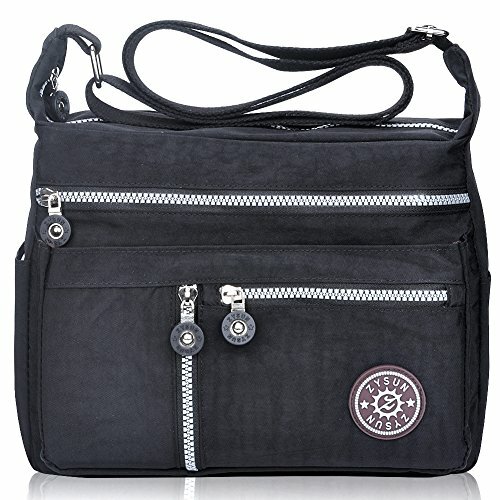 ★ SUITABLE FOR MANY OCCASIONS – casual daypack, fashion campus / school / college satchel, traveling / shopping bag. 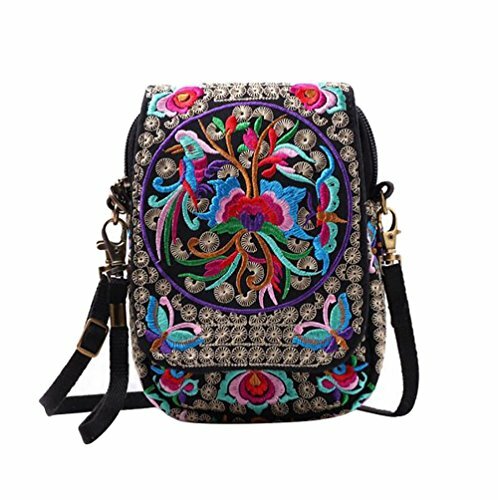 Casual life style, general use as unisex vintage casual daypack, fashion campus school college bookbag, travel hiking gym bags. 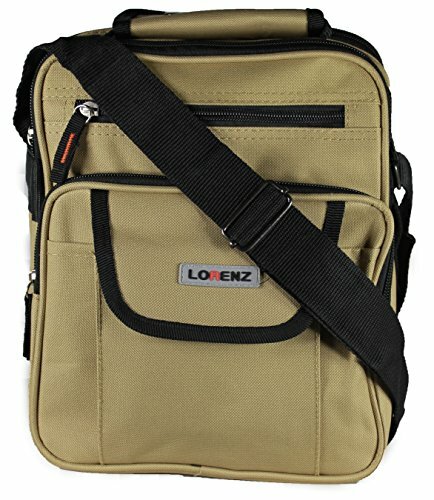 Large capacity, easy to carry A4 magazine, ipad, macbook air, light clothes, school books, stationary and other stuff. ★ GUARANTEED – We are so confident in the quality of our productsthat we offer a 45-day satisfaction guarantee! If you are unsatisfied, simply contact us to return the product for a full refund. (NOTE: • Product Image 100% in-kind shooting It Is Normal That The Color cause a Little Different Due To Production Batch or Ambient Light And Different Display Resolutions. • The Product’s Color in-kind Will Be Closest to The Color that Displays on iPhone or Mac ).